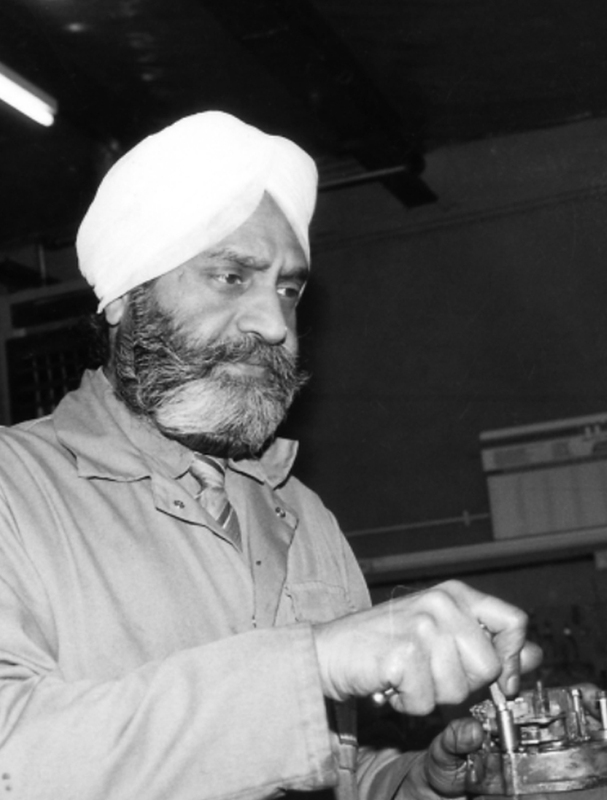 Autoelectro is the largest independent remanufacturer and supplier of Starter Motors & Alternators in the UK and was founded in Bradford, West Yorkshire in October 1986 by Santokh Singh Bhogal (pictured), formerly, a qualified quality control engineer. Today, his three sons, who have been involved at Autoelectro since the company’s inception, manage the day-to-day operations and overall strategic direction of the business. This consistent commitment of the directors to the business has been fundamental to our success, ensuring a high level of expertise; knowledge, service and support are on hand to enable solutions to today's more demanding technical environment. Initially, Autoelectro was set up to offer repair services to local garages and motor spares shops. Towards the end of 1987, premises on Laurel Street were accquired in order to cope with growing demand and to expand production. As the demand for our rotating electrics grew and grew, we soon found ourselves running out of space on Laurel Street. So, in 1991, we moved to our current site, nearby, on Leeds Road, where the business continued to grow. Our Leeds Road premises were further expanded with purpose built offices & sales facilities in the summer of 1994. At this time we were Bosch Fuel Injection agents, Lucas Diesel Agents and also the Lucas main distributor for the area. In Leeds we also established manual and automatic gearbox remanufacturing and engine machining facilities. We also had a collaboration with a major original equipment supplier, handling their technical and warranty support for Europe in addition to providing them with sub-contract remanufacturing facilities which saw our products being supplied to OEM and OES companies. In 2010, our Leeds Road site was developed further, with the construction of additional warehousing adjoining the production facility providing us with over 40,000 square feet of operational capacity and we were now just specialising in rotating electrics. Being loyal to our Bradford roots, the city having seen the business go from strength to strength in over 30 years, we have shared our success with the local community through involvement in a number of educational institutions, Bradford Classic Car Shows and by being an official club partner & shirt sponsor of Bradford City Football Club. Today, Autoelectro is the leading remanufacturer and supplier of Starter Motors & Alternators in the UK. The continued investment in the business has ensured that we offer our customers the highest quality products and widest range of Starter Motors & Alternators. In fact, our new to range development of products is market leading worldwide. We are continually expanding our range and every week we are adding more part numbers for the very latest applications to our range. To this end, we work alongside world class OEM equipment and component suppliers. We have the most advanced test equipment available to support product development and our customer’s technical needs. All our products are 100% end of line tested to meet or exceed original specifications. This ethos of continual investment and improvement has been the fundamental backbone of our company and can be traced throughout our history. 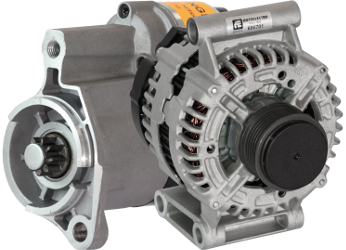 In 1995, we achieved ISO9001 accreditation and were the only Starter Motor & Alternator remanufacturer in the UK to hold this standard, today we still hold this. We lead our market on many fronts, we are the only company in the rotating electrics market that offers: online cataloging, technical support & expertise based on our 30+ years’ experience, with even a ‘live-chat’ facility to assist with any queries without picking up the phone. 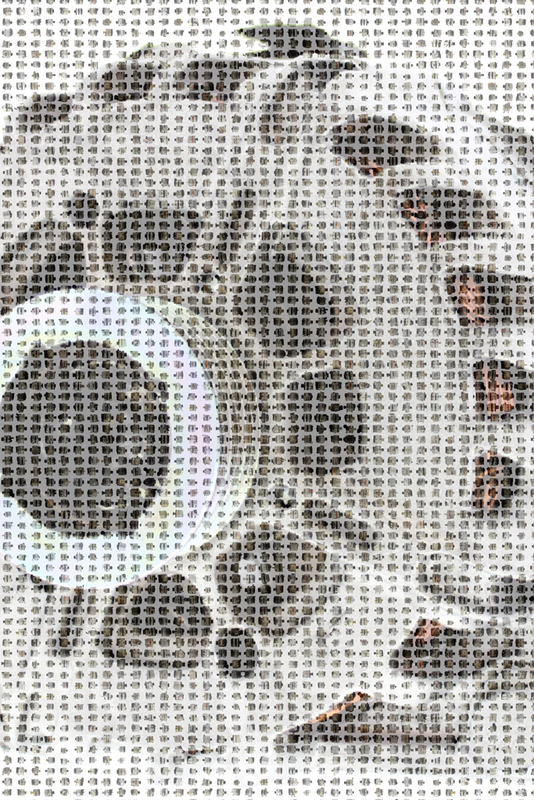 Our market leading website has full cataloguing and product information including 360-degree rotating images of every part number with plug layouts, pulley type, etc. Vehicle specific technical information is also available on line and through our in box technical bullets which support the product. We actively encourage installers to register and take advantage of the technical and product information available to assist in accurate fault diagnosis, together with useful box notes. Our customers also have access to a 24/7 online ordering facility and our catalogue provides a constant source of technical information and new to range references. We have a strong reputation for being able to supply products for all types of application and are known in the industry for having the best range and availability in our product sector. For our trade customers, we have our products listed on TecDoc & AutoCat in addition to our website. We offer next working day AM delivery to most parts of the UK and same day delivery to many customers within a 75-mile radius of our Bradford facility through our own fleet of vans. This service allows customers to take full advantage of our massive stock, holding over 4000 individual product references with the highest coverage of the vehicle parc available in Europe. We offer the best range in the country. As a remanufacturer based in the UK we have the flexibility to react to market demands quickly and the customer has the added assurance of getting an OE equivalent remanufactured part, rather than a copy item manufactured somewhere in the Far East. In 2014, we were accredited ISO14001 & OHSAS18001 awards and in 2015, we were awarded the internationally recognised Green Apple Environmental Award. Our business continues to grow through a 30+ year commitment to our key principals of Quality, Customer Satisfaction & Support and to lead the market on range and technical development. We are confident that wherever future vehicle technology lies ahead we will be best placed to continue to support our customer's requirements at the highest standards.